Springtime means rebirth, the return of the sun and warmth… but it’s also about spring cleaning after the cold season! Unfortunately, popular cleaners often contain ingredients that end up in the air you breathe and can be harmful to the health of the entire family. 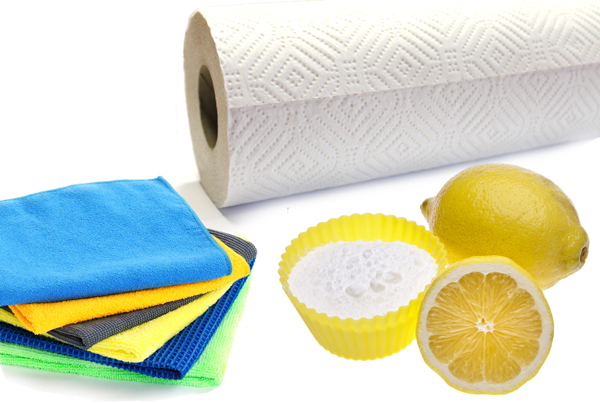 Here’s an interesting challenge: why not try doing your spring cleaning with the least possible impact on your health and the environment by buying softer or less polluting cleaning products, or simply making your own! The average Canadian household uses between 20 and 40 litres of cleaning products per year. Indoor air is 10 to 20 times more polluted than outdoor air. If you want to purchase greener products, choose EcoLogo (a division of UL Environement), Ecocert or Green Seal-certified cleaners, 100% recycled paper towels, and products that come in recyclable containers. Beware of logos that may be making deceptive “green” claims—that’s called greenwashing! Baking soda: Used to remove dirt and grease. It neutralizes airborne odours, and its powdery texture makes it a good abrasive for cleaning kitchen countertops, sinks, baths, ovens, stainless steel, aluminum, etc. 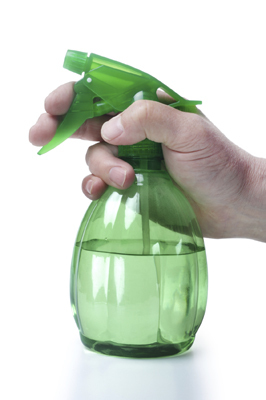 White vinegar and lemon juice: Vinegar does not mask odours; it absorbs them and removes dirt. As two acidic liquids, vinegar and lemon juice work well on residue buildup, but are less effective in dissolving grease. Soap: Pure soaps with a vegetable base, such as Castile soap or glycerin soap, are better for the environment. They can be found in health food stores and are perfect for removing grease! Salt: When mixed with water, salt kills bacteria by dehydration. Add a few drops of essential oils to give a fresh scent to the air around you! Avoid spray or plug-in air fresheners. Try to eliminate odours at the source instead of masking them. Reduce bleach use as much as possible: it produces fumes and is harmful to the environment. Do you have other recipes to share with us? What are your tips for easy and environmentally conscious spring cleaning? © 2015 Cascades All rights reserved.